It's not much, but there is some character creation. Telltale Games is like the Reese's Peanut Butter Cups of gaming. They always do a bang up job of story telling and that is the chocolate component and then they take a cultural phenomenon or sometimes a creation of their own and create a true treat with at “peanut butter.” This time around, that creamy goodness (I prefer mine chunky) is the smash hit from developer Mojang known as Minecraft. The ultimate sandbox adventure has allowed players around the world to do everything from just surviving to battling Godzilla (not an exaggeration). It's like having a digital Lego or Erector set with even more freedom. Six years after the initial inception of Minecraft, Telltale decided to do the one thing that has never “officially” been done with the game: they gave it a story. 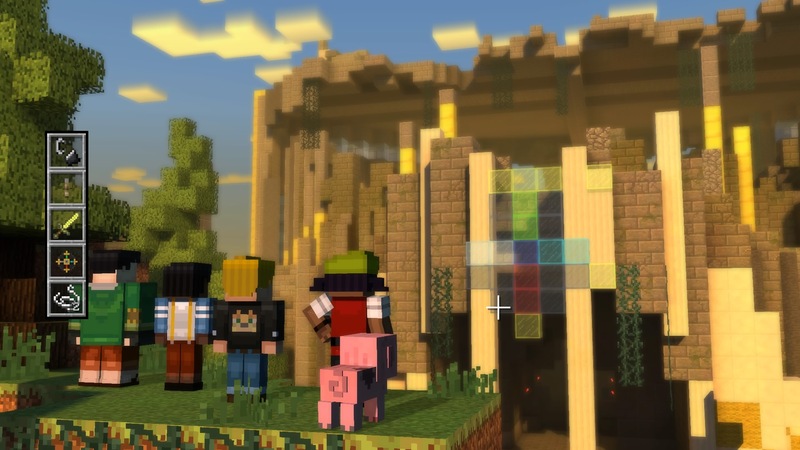 Minecraft: Story Mode is an evolution of the IP that could attract all gamers whether they be fans of Minecraft or not. CHIP OFF THE OLD BLOCK The underlying plot of Minecraft: Story Mode is a simple yet tried and true formula where a legend of heroes is known throughout the land and a new group of nobodies has to live up to said legend. However, you should not let that or the game's E10 rating fool you because almost everything you would expect from Telltale is present. As the game opens, the narrator tells us of a time where the land was in peril and four heroes saved the world. Gabriel (Dave Fennoy), the warrior of the hero group is scheduled to appear at the upcoming EnderCon and everyone is excited except for Ivor (Paul “Pee-Wee Herman” Reubens). Something stinks about the legend. 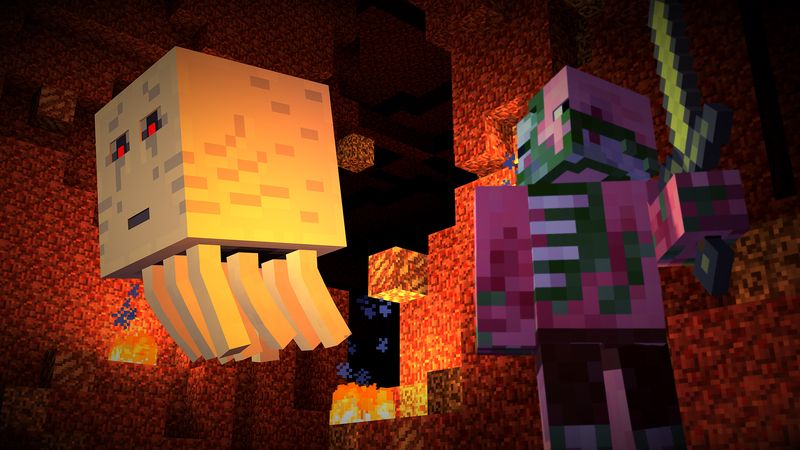 The story only tells of the heroes fighting monsters of The Nether. This bitterness of this man Ivor does not factor in and that could spell danger for everyone. As Jesse (male or female), your role is to enjoy the convention. Just, keep your eyes open and make sure to look at the bigger picture. PERFECTING YOUR CRAFT (TABLE) Minecraft: Story Mode is the first game from Telltale since Monkey Island to get less than a Teen rating. Like I said earlier, that is no reason to think less of the game because these games always reflect their source material and need to appeal to the original audience. 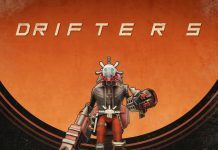 Aside from friendlier language and the absence of gore, the only real difference you will notice between this game and let's say the recent Tales from the Borderlands is difficulty. Having played many of Telltales' games, I would not call any of them truly difficult as long as you pay attention to what you are doing. The quick time events are of course present during the narrative. What players will find to be “easier” is that Minecraft: Story Mode generally gives a second or two more to execute moves than the aforementioned Borderlands series. For completionists, you will be happy to hear that the trophy/achievement list is a little bit less linear. 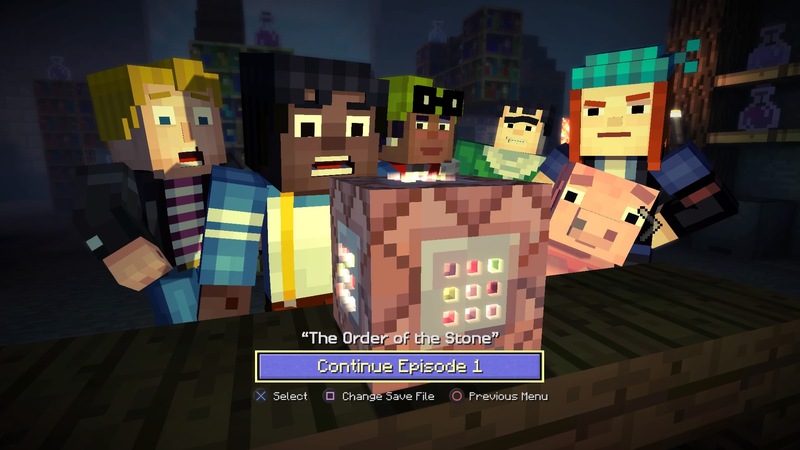 Minecraft: Story Mode is the first game from Telltale since season one of The Walking Dead that has a missable trophy. Even better for Minecraft fans, said trophy is an Easter egg they will appreciate. Hopefully more games in the future follow this formula because it definitely adds to the enjoyment. MY GOD, IT'S FULL OF BLOCKS Whether you are playing this on a current-gen console or a high-end PC, remember the name of the game – Minecraft: Story Mode. The game's graphics will be reminiscent of Dire Straits' “Money for Nothing” video (look it up kids). However, Telltale went out of their way to make this game pretty; even though everyone in this game is a literal blockhead, this story will look a lot better than the source material it came from. The game also plays very smoothly with the exception of some audio hiccups that might occur when there is a load screen. A recent update has fixed that problem as well. 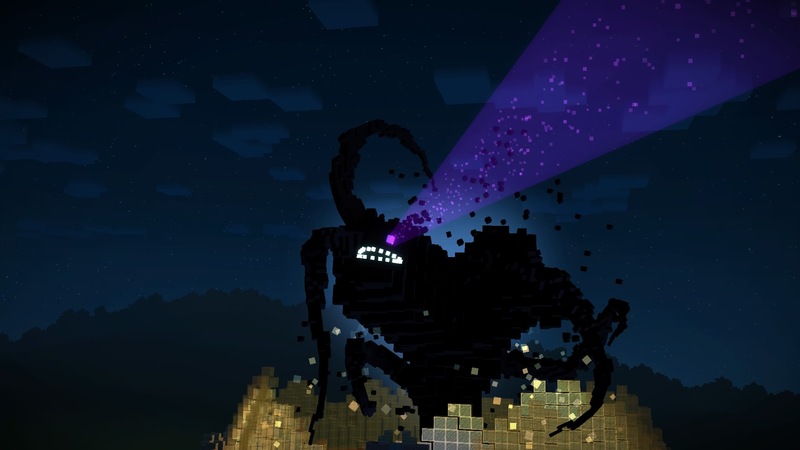 Telltale has also made sure that the game is full of build moments, the first of which happen when the townsfolk build EnderCon at the title screen. 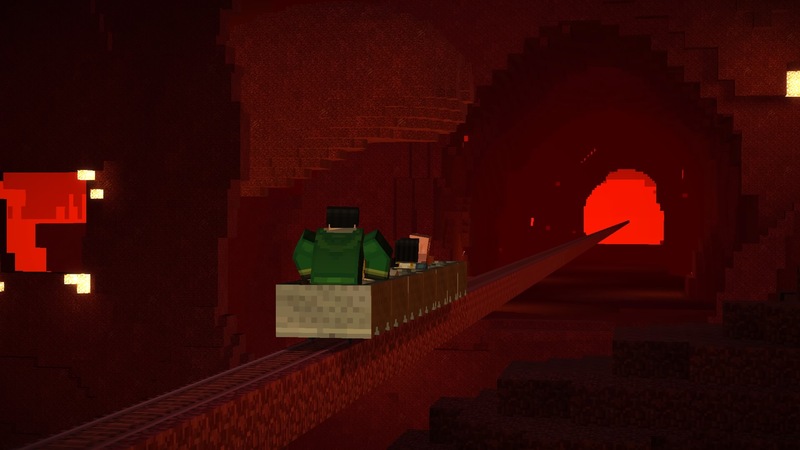 Everything you see while playing this game screams brand validity and you will want to see it regardless of whether you have ever played Minecraft before. Telltale Games have never failed to entertain me and the stories are so engrossing that they pull you in even if you have no interest in the original source material. I have never played Minecraft before but for me, it was more of a lack of time issue. The original game does not have a story because the players create their own as they go along (or not). This is part of why Minecraft: Story Mode is great – it gives you a story to play through when you don't have time to make your own. This game lets you experience all the nice and naughty aspects of the Mojang masterpiece. I can only hope that the future episodes offer more opportunities to craft items as the adventure to save the world unfolds. 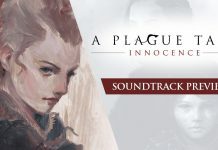 I will confidently say that this is a full purchase that you should make in the form of the season pass, but at the very least shell out the five bucks to try out episode one. Find out how your decisions match up against the TTG community and stay tuned to R.A.G.E. Works when the next episode drops as we will be reviewing all of them.